Today ... and some other days too. We shopped for our monthly supplies, Colruyt and Makro. Later, we slipped away to our favourite secondhand shop by the airport and voila, found the beautiful orange bicycle for Miss 'Almost' 9 ... it has flowers. It is a little early, as her birthday is actually 4th of July but it was meant for her. We're sure. Last night I was out with Lucy and Ruth, there was some red wine involved, much laughter and many conversations. And then, cycling home after midnight, I learned that using my phone while riding a bike is to be avoided. Only my finger was hurting this morning. I was lucky. Tomorrow I'm off to the Westhoek, really really early, to photograph a special moment in the lives of one of my favourite Belgian families. I love this kind of photo-shoot, the kind that involves extended family. I love attempting to capture not just the day but the emotions and connections too. Let's see how it goes. 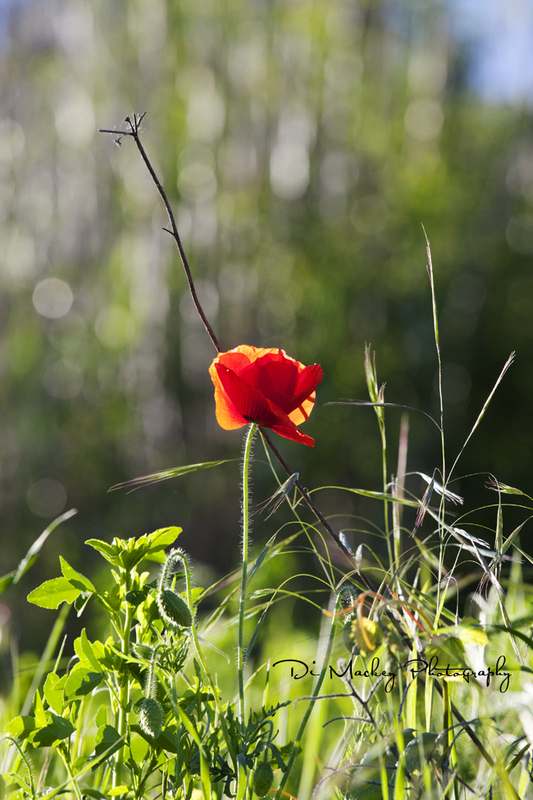 Meanwhile, there was this poppy in Piedmont and I was there photographing it, just a few days ago.